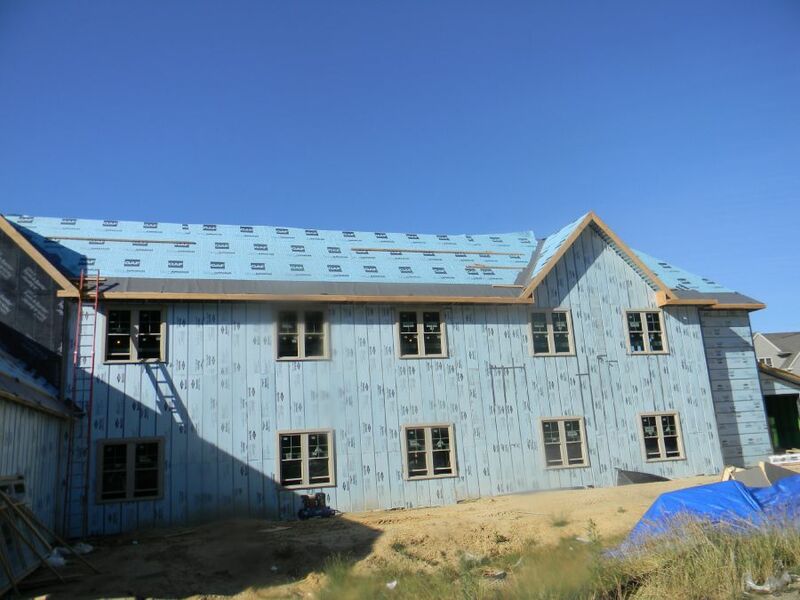 The primary benefit of a built-up, or multi-ply roofing system, is a thick assembly comprised of multiple layers which provides more security than a single-ply system. It creates a watertight barrier capable of providing many years of reliable protection from the elements. If the top layer is damaged, the subsequent layers underneath provide back-up layers to stop water and the elements from entering the building. The multiple layers also create a more rigid and stable surface that make the roofing system more applicable to being a platform for your mechanical systems, solar energy systems, vegetative (roof gardens), or creating usable outdoor space by installing a roof deck over top of it. A built-up roof (BUR) can also be called a hot asphalt or HSA roof and has been around more than 150 years. It is composed of several layers of reinforcing plies that are joined by hot asphalt creating a waterproof membrane. All of this is then covered by a surfacing material which will give the roof reflectivity and decrease degradation of the asphalt. Over time, as asphalt is exposed to sunlight, it will become brittle, shrink and crack. Its surface becomes similar to alligator skin. Water can penetrate the cracks and cause blistering and eventually leaks. 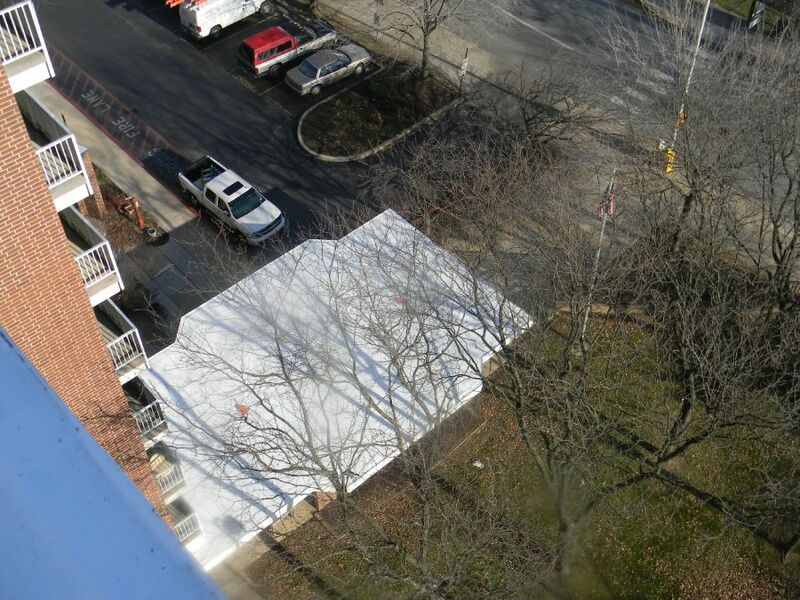 Additionally, installation of an asphalt roof is energy-intensive and contributes to air pollution. However, a BUR has several benefits. It is durable, leak resistant, and easy to repair. Asphalt has an inherent moisture resistance which helps prevent water from getting through. 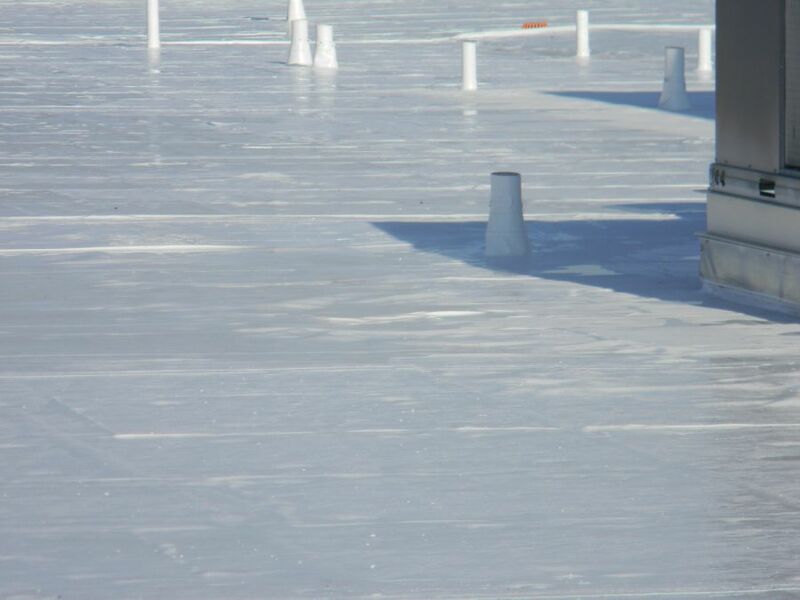 Also, the multiple layers and laps produce a roof that is much thicker than any other type of low-slope system. 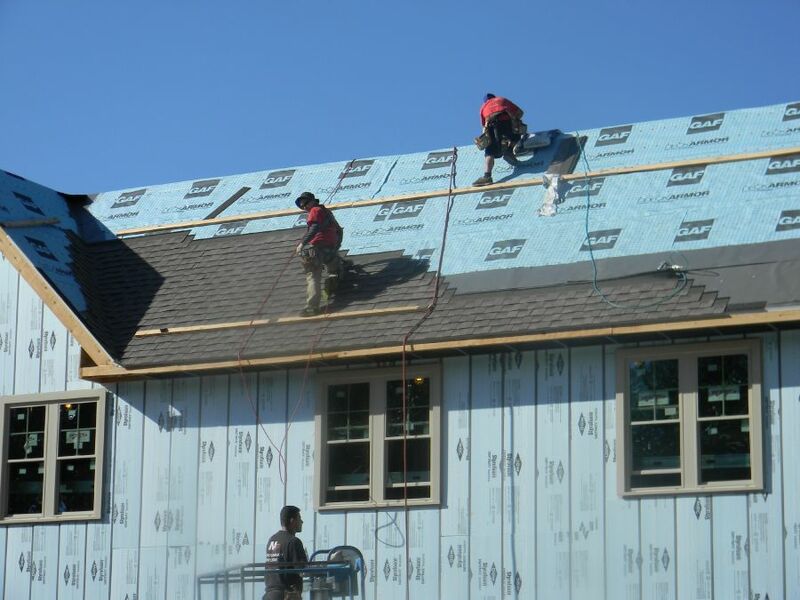 A four-ply BUR has about 280 mils of waterproofing thickness, whereas a single-ply system is usually 60 mils or less. Furthermore, repairs can easily be made by recoating the area with a compatible product. This provides a significant long-tern cost savings. 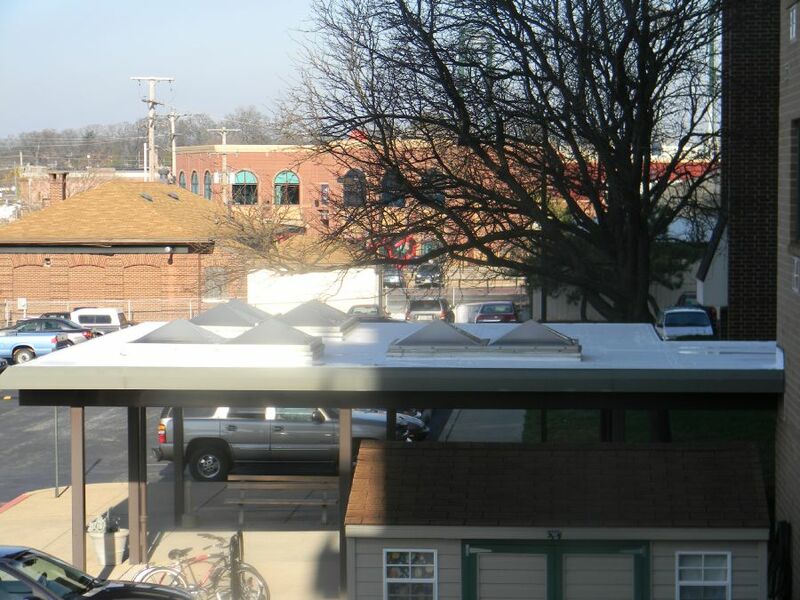 A BUR can also be considered a cool roof, depending on the type of surfacing material that is used. Gravel is commonly used as a surfacing material and provides a range of reflectivity depending on the size and type of gravel. But new hybrid systems consisting of BUR with a highly reflective modified bitumen (MB) cap sheet as the final layer are producing outstanding results. 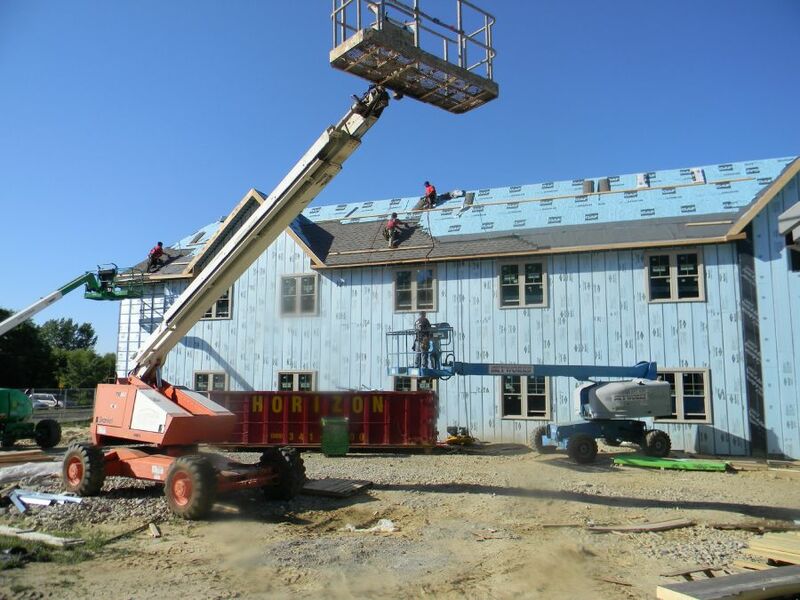 It is a combination of the longevity of BUR with the energy savings of a cool roof. Overall, hot asphalt roofs are long lasting, easy to care for and one of the least expensive low-slope systems with a low life-cycle cost. A properly installed BUR will last 15-25 years. 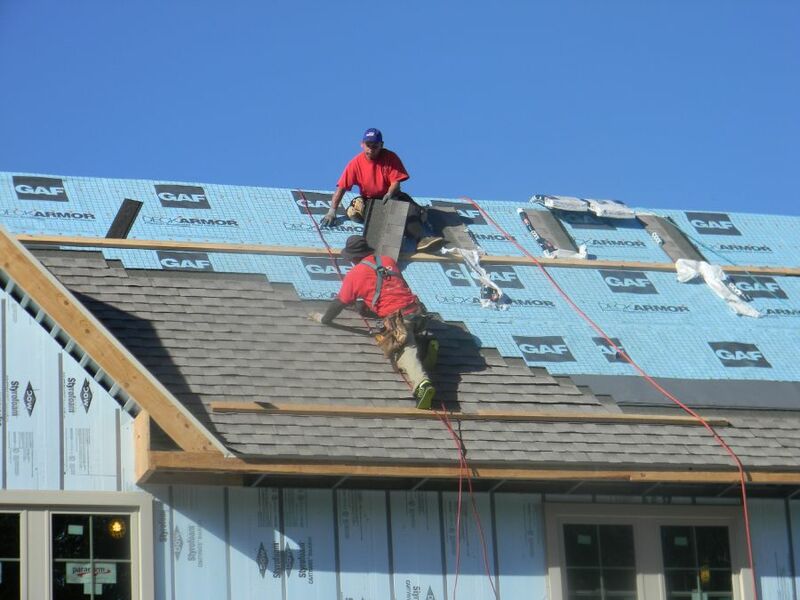 Modified Bitumens (MB) represent a more recent advancement in asphalt roofing. Modifiers, such as rubbers and solvents have been added to asphalt to increase its strength and durability. The two most common modifiers are APP (atactic polypropylene) and SBS (styrene-butadiene-styrene). APP increases the aging ability of asphalt. SBS enhances substandard asphalt and increases its flexibility and allows it to have stronger contraction and expansion capabilities. Both modifiers are applied to polyester or fiberglass membranes to form sheets. APP systems are usually applied by heating the underside of the roll with a torch. SBS systems can be applied using a hot mop, cold-applied adhesives or self-adhesive membranes. 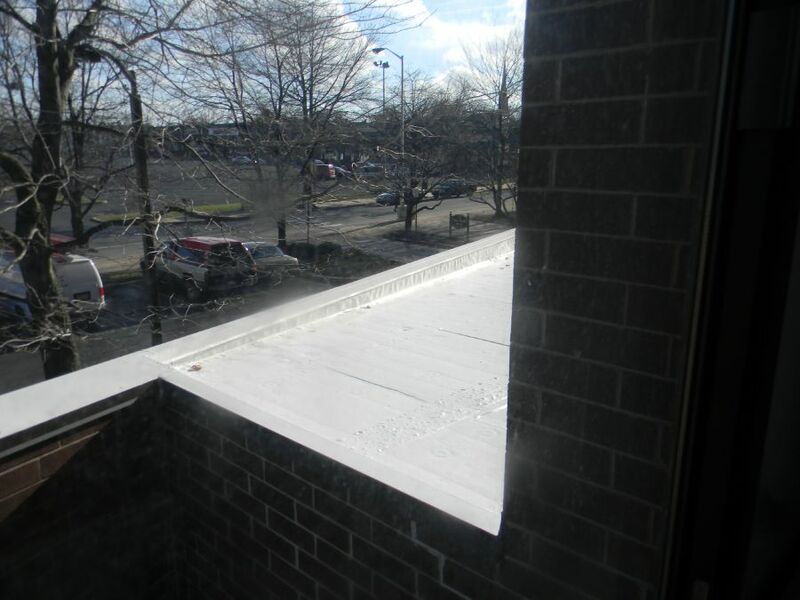 A standard SBS modified bitumen roof system is a two-ply system applied in rolls that overlap the edge of the previous roll. SBS is used more often because of the increased flexibility and variety of application methods available. Modified bitumens have taken asphalt roofs to the next level by making them more durable, flexible, weather resistant, and easier to repair. In addition, MB roof systems can be finished with a variety of surfaces that enhance their resistance to oxidation and damage from UV rays. 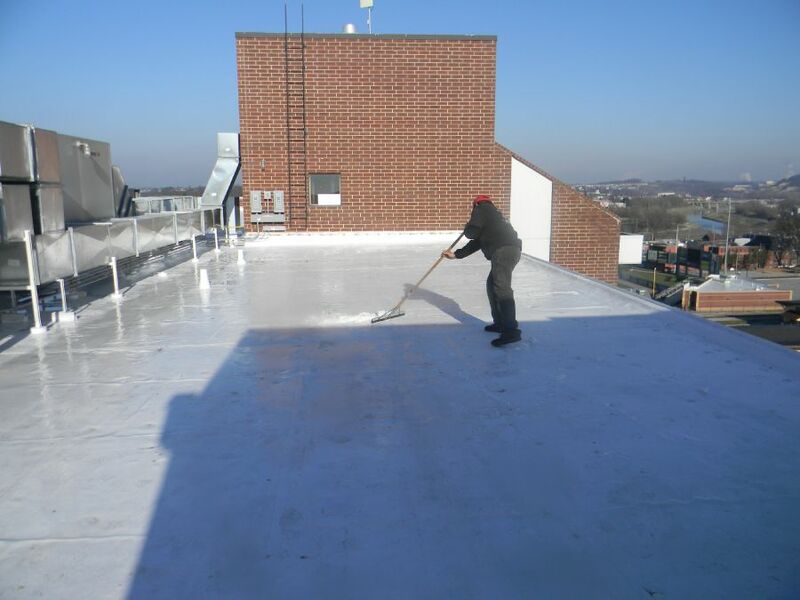 This type of roofing membrane is also called Liquid Roofing and involves the application of a cold liquid rubber roof coating. Cold applied roof systems have been very effective in the US for the past 30 years because they are quick and easy to apply. They are also tremendously sturdy, have a long life expectancy, and are extremely easy to maintain. A traditional built-up roof can now be installed using a cold process bitumen instead of a hot kettle fired bitumen. Therefore, they don't have any of the dangers connected with kettle-heated asphalts such as fires, fumes, odors, or burns. Cold applied bitumen act as the bonding glue and waterproofing for a BUR. Cold process materials are now available in economy grades all the way up to high performing rubberized versions. 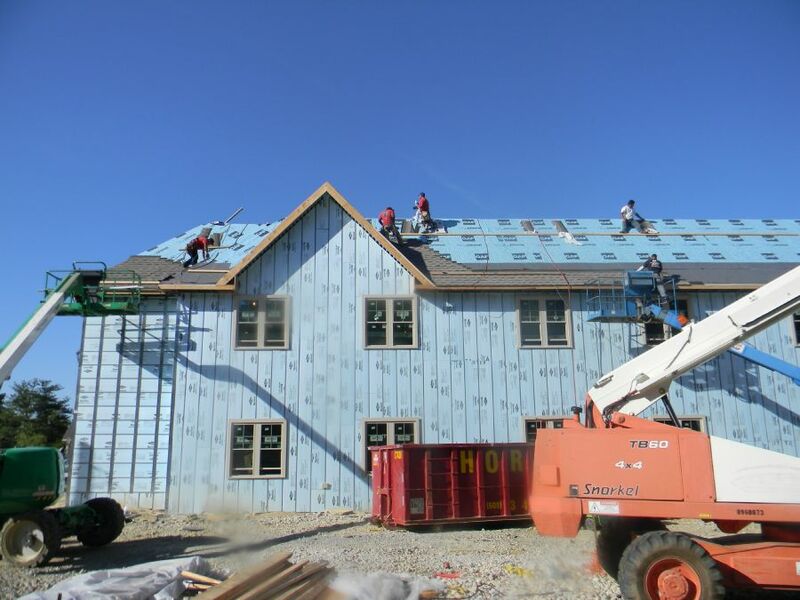 Whether you are constructing a new roof or replacing an old roof, consider the application of a cold applied modified bitumen membrane system or a traditional built-up roof using this safe, high tech cold process method.